DISPENSE THE RIGHT AMOUNT OF SPOT COLOR INK AT THE RIGHT TIME. EVERY TIME. 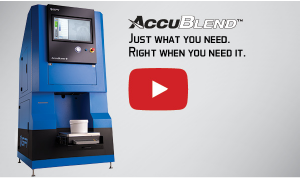 With a GFI AccuBlend™ dispenser on your floor, you’ll never have to wait for ink to be delivered again. You’ll end wasteful over-ordering. And you’ll be able to take on more rush jobs while you produce dead-on spot color to an accuracy of +/-0.001 per pound.